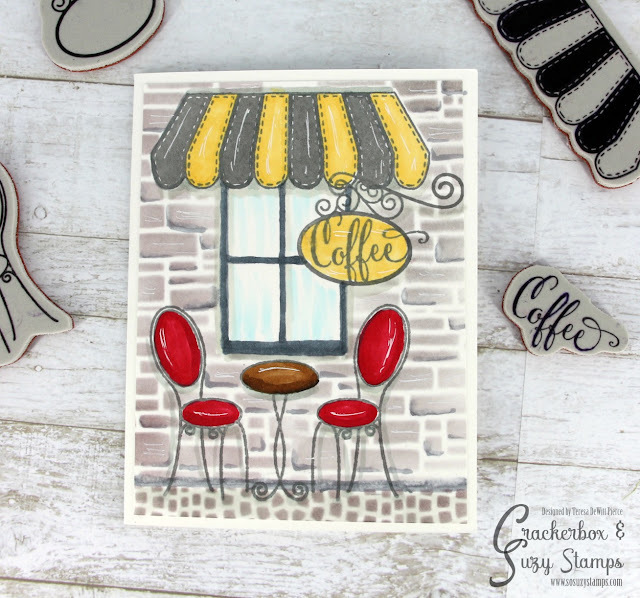 I just recently purchased some fun stencils from Crackerbox & Suzy stamps and thought it would be really fun to see if I could use them to create a scene card. I just love how it turned out and it wasn't very time consuming at all to make. A little stamping, masking, stenciling and a little coloring and I had this put together in about half an hours. There is a video tutorial on how to recreate this card in this post. 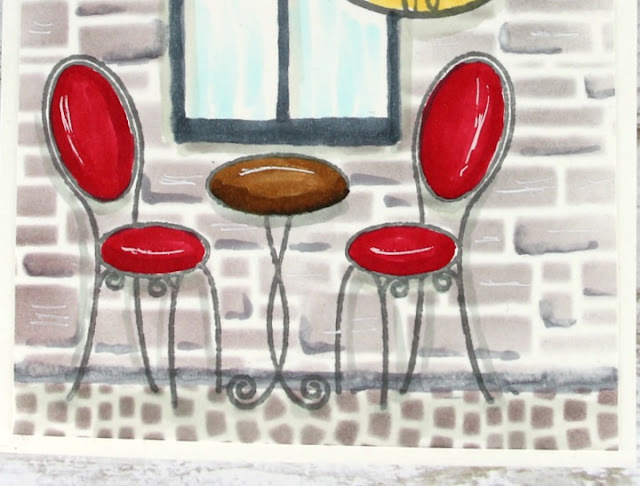 Here is a close up of the cafe set - aren't these chairs so cute? This would be a fun card to enclose a coffee gift card and send to a friend, teacher, co-worker, and so on. 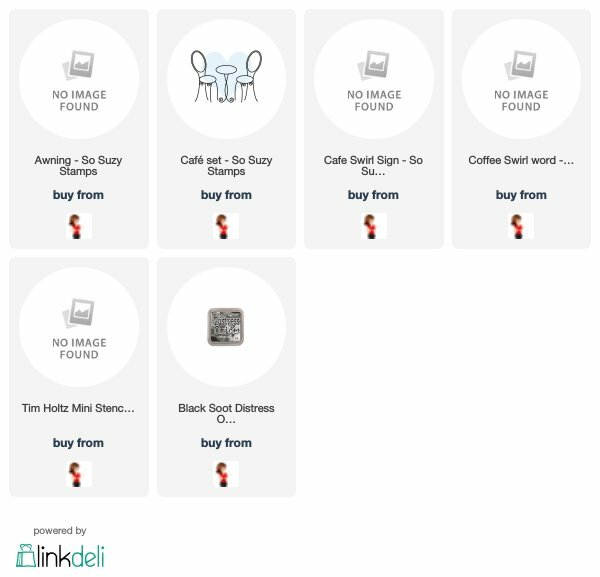 You could stamp a specific sentiment on the inside to go with the occasion.